Too much music goes nowhere. Songs start with the obligatory intro, and a first refrain kicks in, followed by a catchy chorus. A second verse comes thereafter and then the chorus repeats, note by note, until a perfunctory melody neatly wraps the track in under five minutes. One key phrase may echo in the final bars, fading to silence. Regardless, a distinct formula dominates pop. 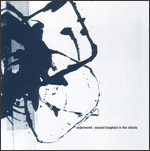 Thankfully, Underworld travels bottomless into anywhere aboard an alternative successive beat. Even after redundant play, the music averts predestined whereabouts, oddly in spite of the fact that techno, trance, and electronica rely heavily on iteration. To consider the experience over and over is an immersion into a place of familiar unknown like the arrival of New Year’s Day, when the past accrues pronounced distance by the change of a single digit at the precise tick of a clock. A pulsating thump past midnight, the future swiftly adds a refreshing layer of promise. Words confound any hint of purpose; utterances exist primarily as ethereal ambiance. Prerecorded remarks nevertheless gain inclusion, discharged as placeholders for personal observations to fill-in between confabulations. Emotions are really best left unsaid, so let others reduce feeling to trite memorable lyric. Narrators only obstruct the way along a rhythmic transmigration toward self-discovery. Underworld’s esoteric style captures connection in ambiguous form—a rather optimal consequence since impressions, themselves, synthesize from one instant to the next. Love, hate, fear, and abandon, for instance, are impossible to measure person to person, let alone by an individual revisiting an expression more than once. We build upon our initial undulating sensations, altering them over the course of time until they are distinct. Reaction is mental and immediate, while meaning presides in a temporal domain. Underworld elucidates the latter state by underlying their artistry with surprising recapitulation that lets a semblance of a message sink in. Too much music goes nowhere. And the song fades to quiet.